A relatively calm weather season in the third quarter helped Travelers keep its third-quarter income steady, the insurance carrier reported this week. The $864 million in third-quarter net income for the insurer matched the net income it reported in the third quarter of 2012. Earlier this year, meteorologists had predicted an active Atlantic hurricane season that ultimately yielded few catastrophes. Both quarterly and year-to-date catastrophe losses in Travelers’ auto coverage sector were lower compared to 2012 figures. Net investment income for the quarter was $657 million, a 9 percent drop from the $722 million that was reported in the third quarter of 2012. According to Fishman, the company dragged on investment income, but those lower returns were weighed against rate hikes and lower losses from catastrophes; the end result was profits that were stable profit levels. “The current quarter benefited from earned rate increases exceeding loss cost trends in each segment, largely the result of the pricing strategy we have been pursuing since the middle of 2010, low weather-related losses and meaningful net favorable prior-year reserve development,” Fishman said in a statement discussing the results. 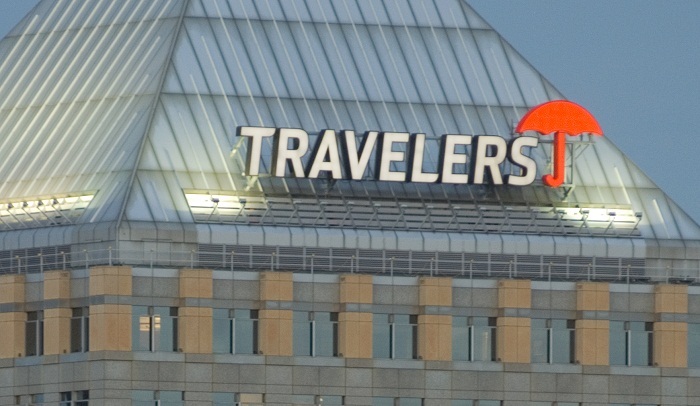 Travelers announced hundreds of employee layoffs in July that the insurer said would boost its auto insurance business. Fishman said that Travelers will debut a new product next quarter called Quantum 2.0 that, among other services, offers new or enhanced auto insurance discounts for drivers including for those who insure multiple cars under one policy, pay their bills on time, are continually insured or use alternative fuel. Quantum 2.0 will be available in about 15 states in the next quarter, according to Fishman. “We are optimistic that this new product … will enable us to improve new business volumes at attractive returns,” he said in a statement. Fishman said during the conference call that Travelers is “in the process” of filing the product with state regulators. “Obviously we’ve filed in a lot of places and as we get the approvals we’re rolling out,” he told investors. “We will essentially be fully rolled out” by the end of second quarter of 2014, according to Fishman, who said that Travelers will have other products in the “few states” where Quantum 2.0 is unable to get regulatory approval. Although the program hasn’t been fully implemented across the U.S., executives expect that Quantum 2.0 will result in premiums being cut 10 percent overall for participants. “All states have variations, but that’s the high-level math,” Greg Toczydlowski, president of personal insurance for Travelers, said during the conference call. Travelers also expects to close a billion-dollar purchase of Dominion of Canada General Insurance some time next quarter, said Fishman, who added that Travelers is “excited about the transaction” that was announced in June.